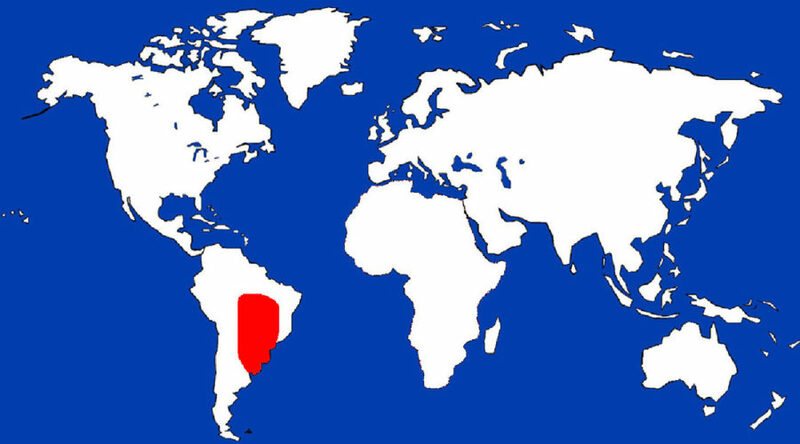 Southeastern Brazil to eastern Bolivia, Paraguay, Uruguay, south to Argentina. Introduced populations in Hawaii and south Florida. Partially open areas with scattered trees and shrubs. Prefers to be near water. Small bird with white body/breast, slate colored wings and a bright red, crested head. Sexes virtually identical. The Red-crested, or Brazilian Cardinal is a small, outgoing bird commonly found over most of the South American continent. It is becoming more popular as a pet bird, and escapees have established populations in Hawaii and Florida. Males and females look exactly alike; unlike the Northern Cardinal Americans know so well. Instead, sexual difference is made obvious during breeding season when male cardinals turn especially aggressive, attacking almost anything that moves. 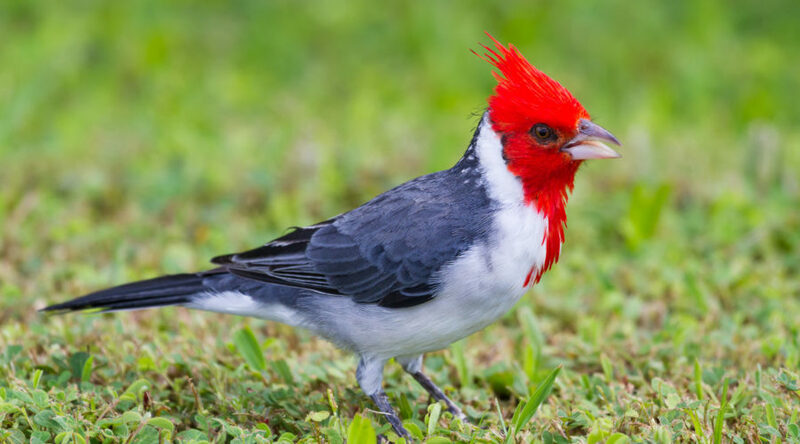 Although classified as common and abundant, the increasing popularity of the Brazilian Cardinal as a pet could, in the future, jeopardize wild populations. Brazilian Cardinals are monogamous, with a pair capable of producing up to three clutches in one breeding season. Males are responsible for selecting a suitable nesting site and building the nest, while the female claims responsibility for incubating the eggs. Both parents feed the newly hatched chicks. Once the chicks fledge, the male stays with them, guarding and feeding them until they are able to survive on their own.